How would you like to receive weekly texts, delivered straight to your inbox, helping you build your reading skills in French? The Coffee Break French Reading Club will provide a short text each week for the next year and you’ll be reading about a range of topics including food, literature, places in the French-speaking world, art, language and linguistics and the media. There are texts on sporting activities, cultural events, tourist attractions, customs and traditions, and many more topics, so not only will you improve your reading comprehension skills, you’ll also develop your cultural awareness and build your vocabulary. What level is the Reading Club aimed at? 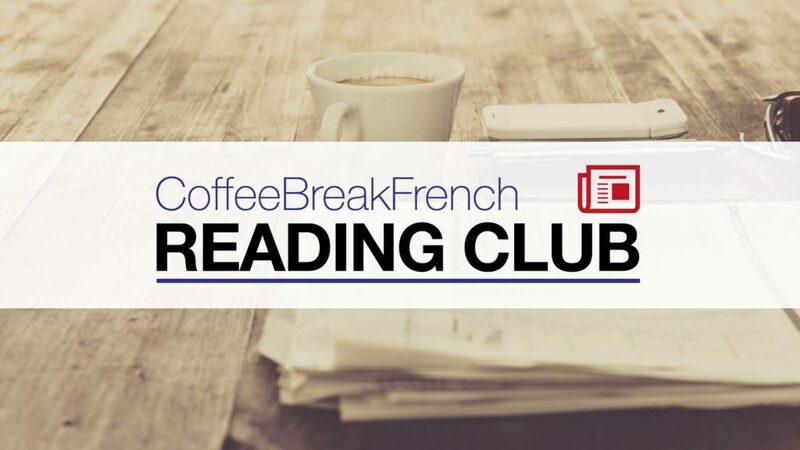 Our French Reading Club articles are aimed at an intermediate level, around the Coffee Break French Season 2 / Season 3 level, or a B1/B2 level of the European Framework of Reference. You’ll find that the texts do increase in difficulty as the year goes on: we’ve kept the slightly more difficult texts for later in the series. You can subscribe to our Reading Club for free and receive our weekly text for the next 52 weeks. There will never be any charge for this. You will receive the short text by email each week, delivered straight to your email inbox. Wherever you are, you can take just 10-15 minutes – or a coffee break – to enjoy the text and build your vocabulary. Alternatively, if you’d like a little more, you can purchase access to the premium version of the Reading Club. You’ll still receive the text by email, but we’ll also give you access to the Reading Club course in the Coffee Break Academy where you can access the text, vocabulary, a comprehension exercise, and an audio version of the text with both slow and normal speed readings of the text by a native speaker. Please note that if you go for the free option and at a later date decide to purchase the premium version, you will need to start the series again with text 1. It’s best, therefore, to make up your mind now whether you want to go free or premium. To access the premium version of the Coffee Break French Reading Club, click the image below. Just want the free version? Pas de problème. Simply enter your email and your name in the box below and we’ll be in touch. If you don’t receive an email within the next few minutes, please check your junk mail / promotions tab in case our email doesn’t come straight to your inbox.